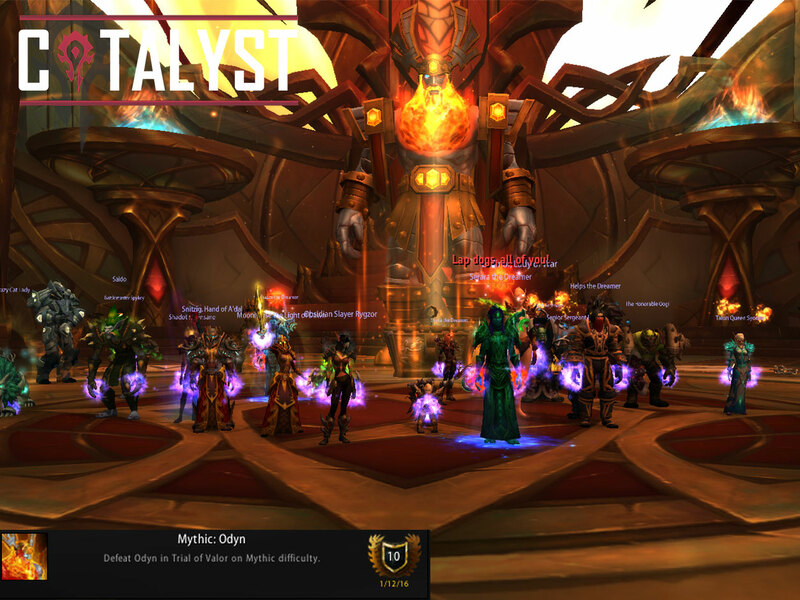 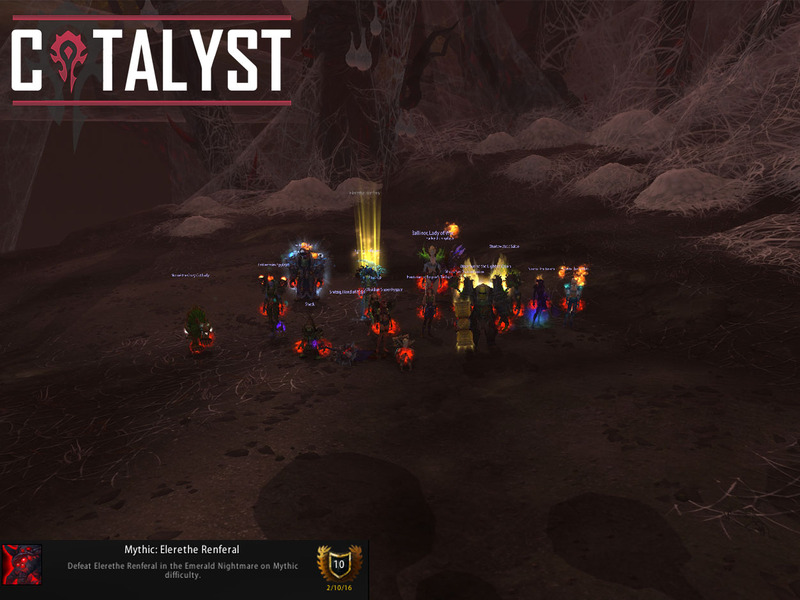 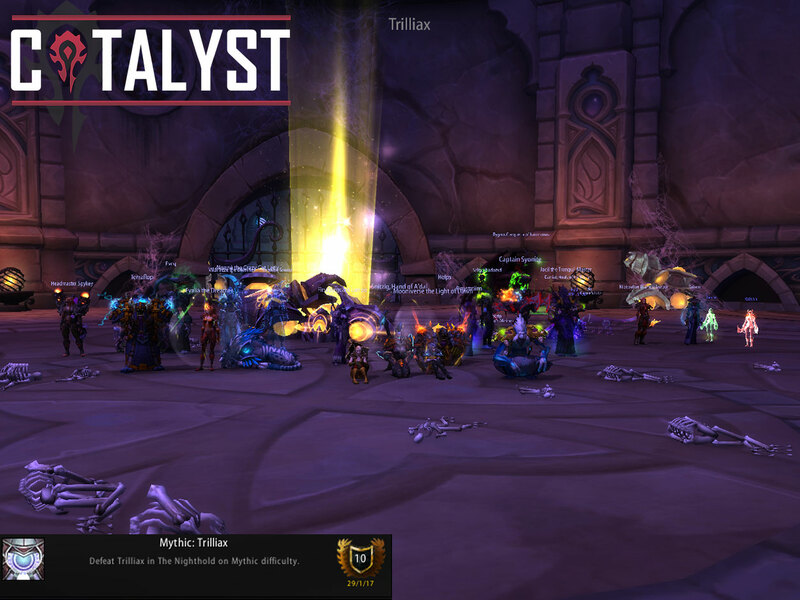 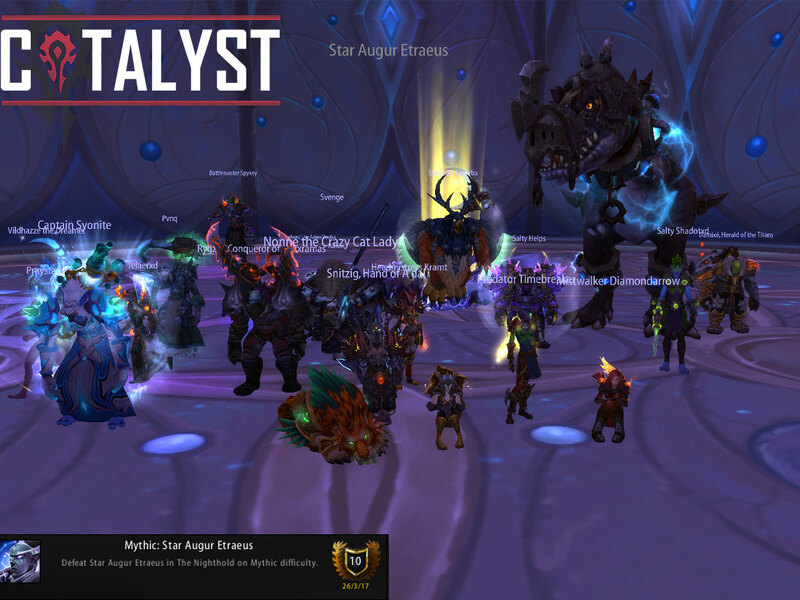 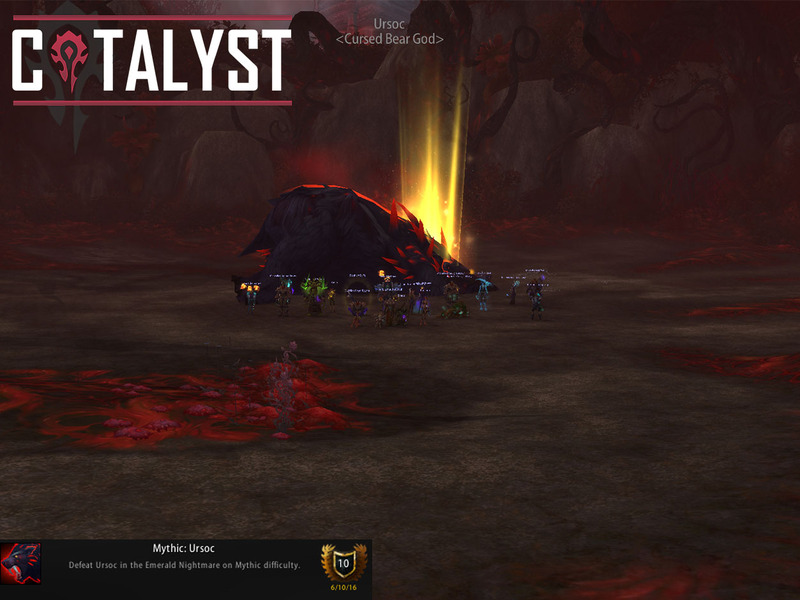 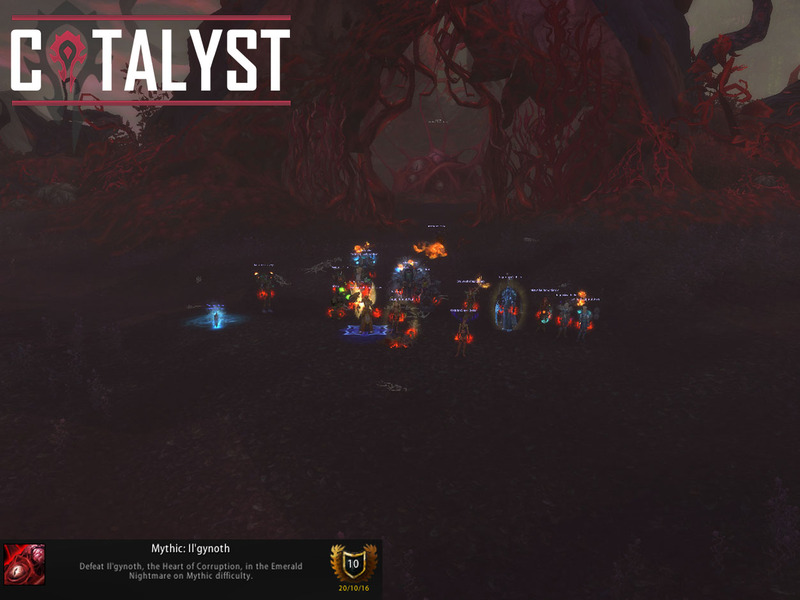 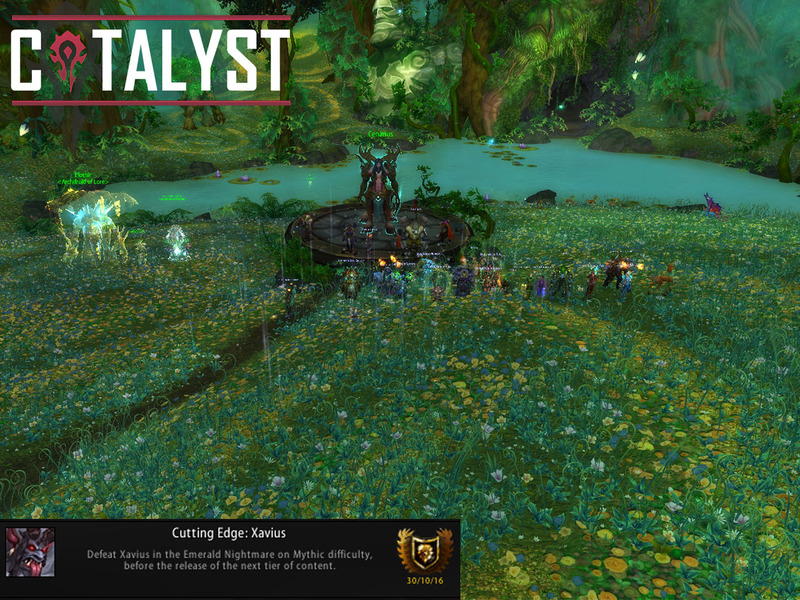 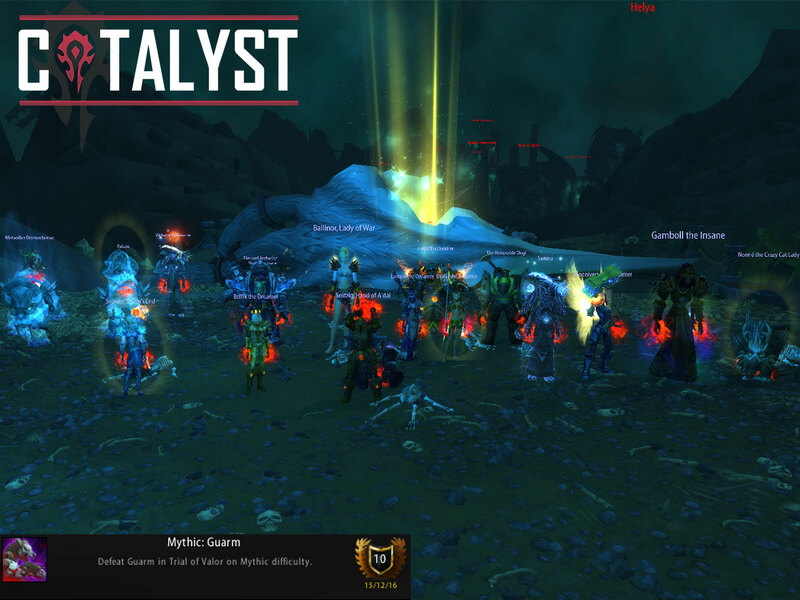 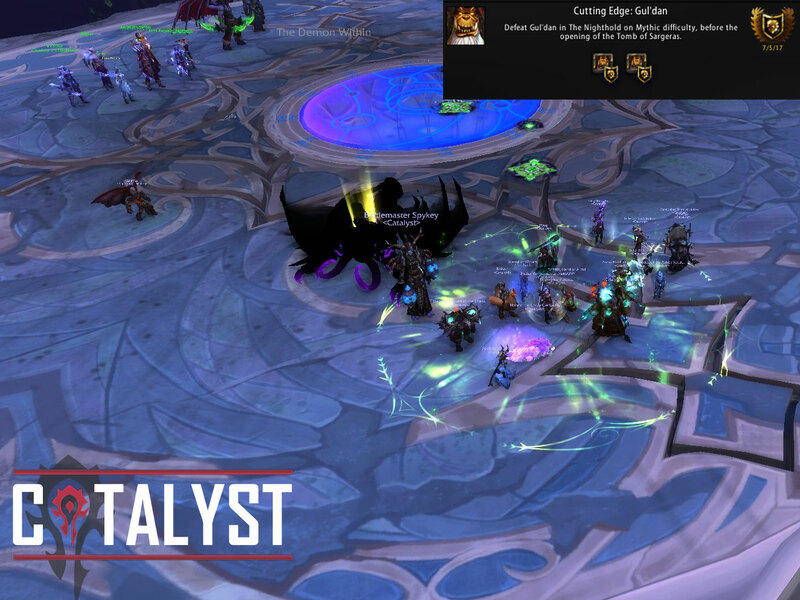 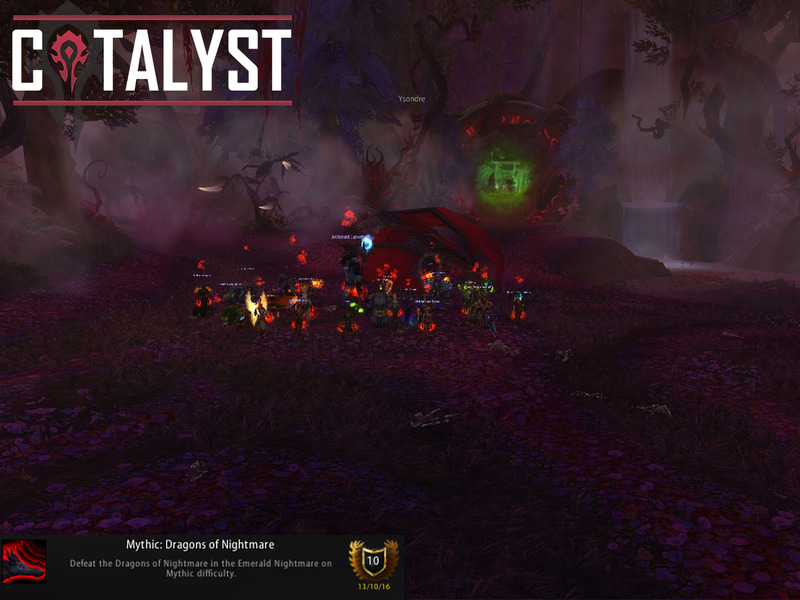 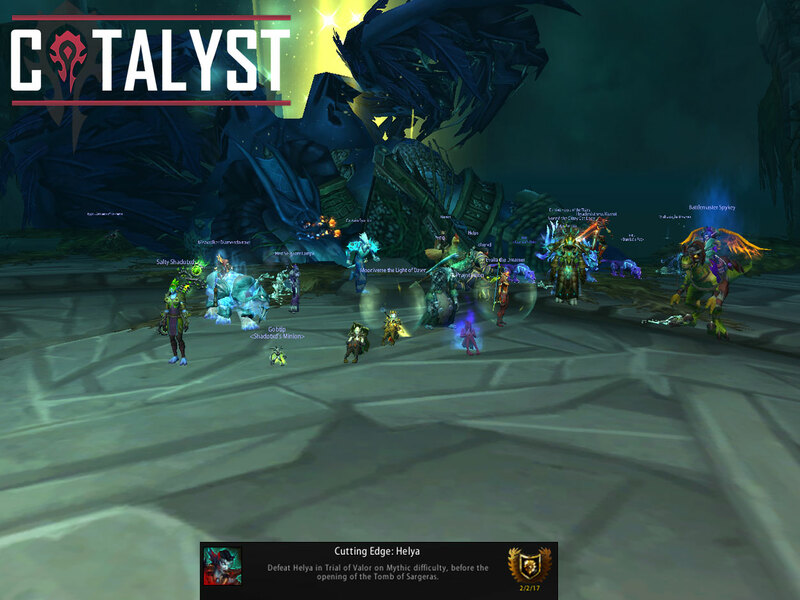 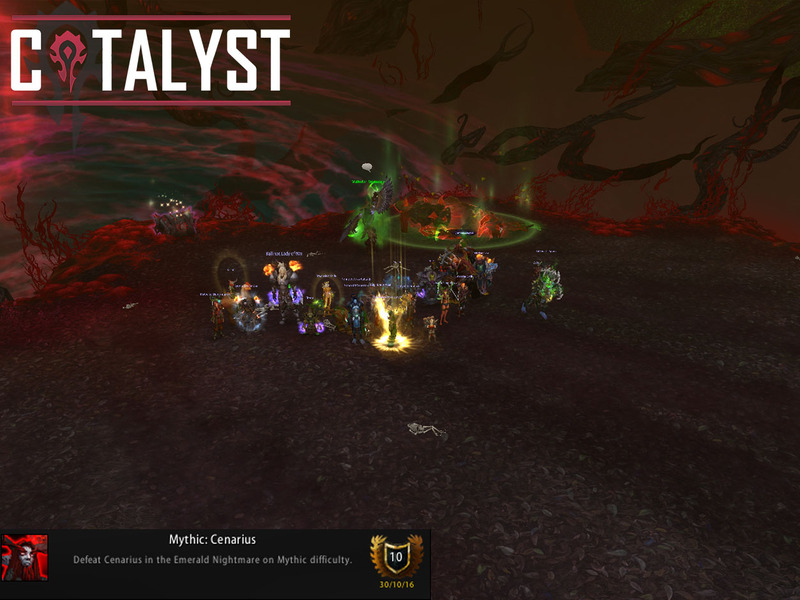 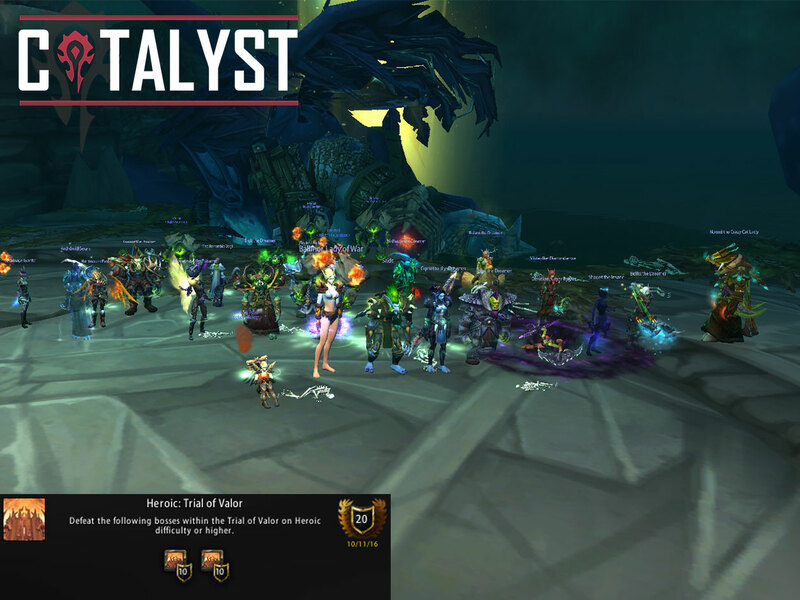 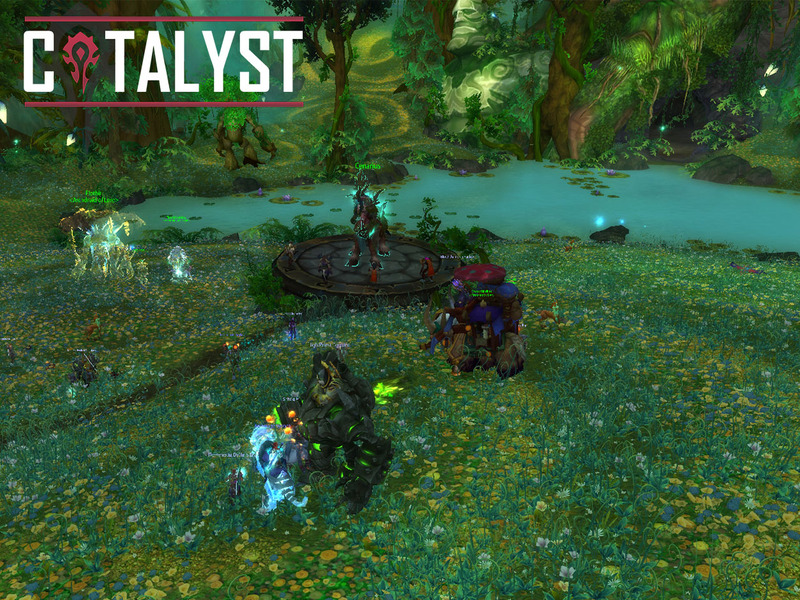 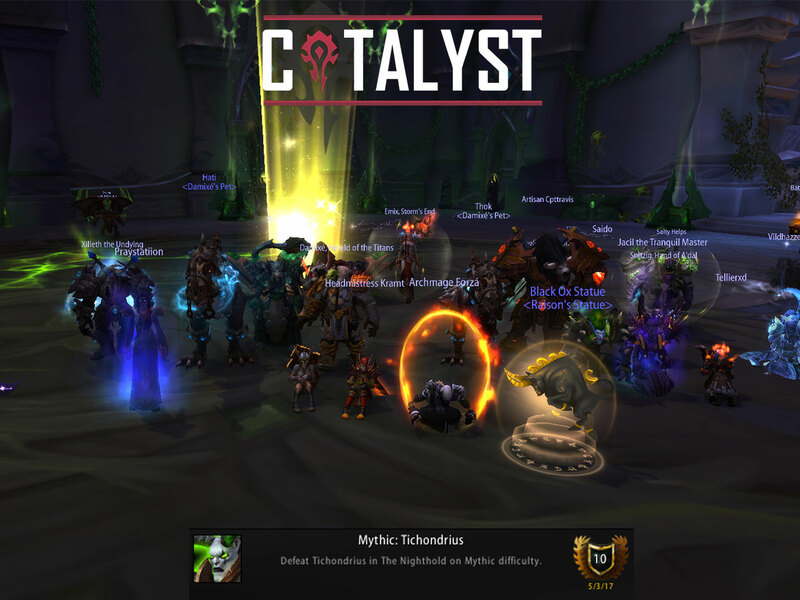 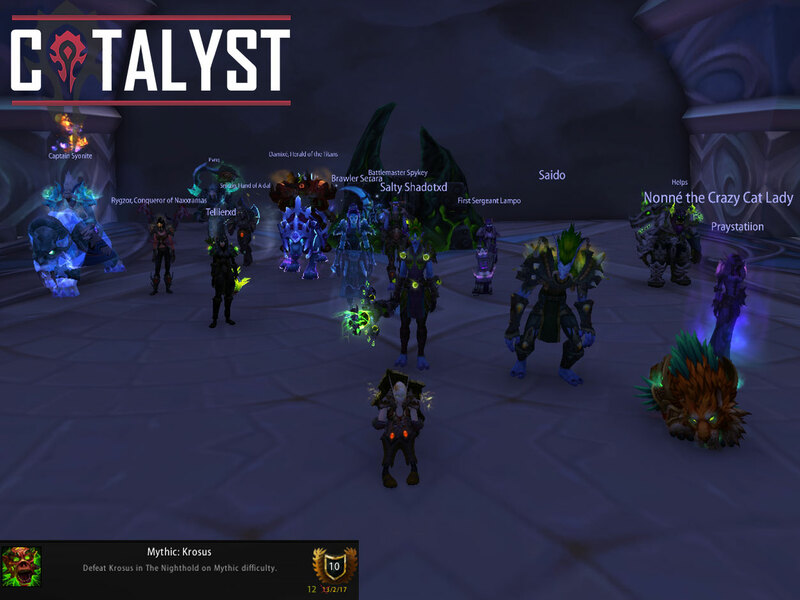 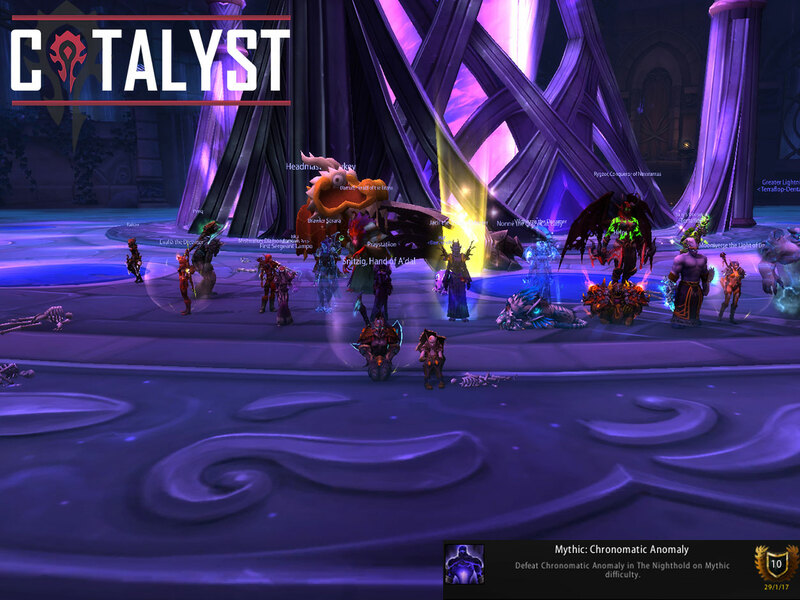 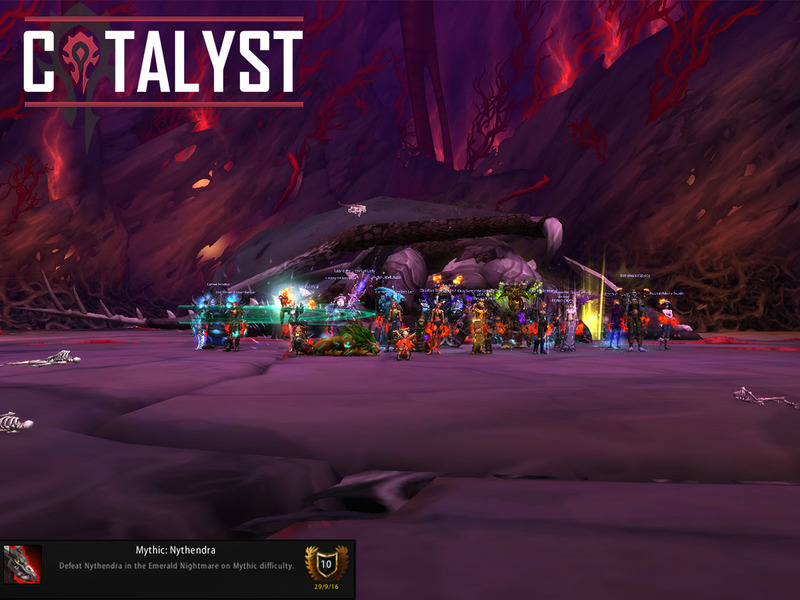 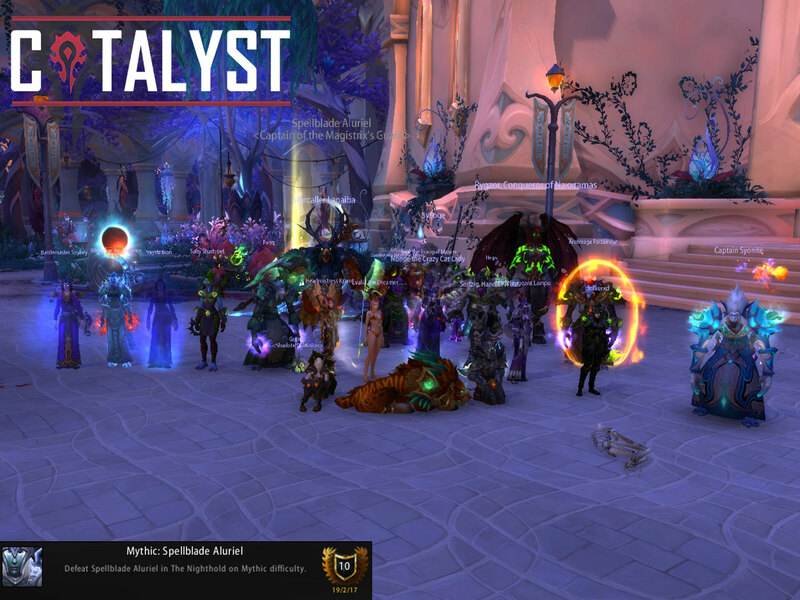 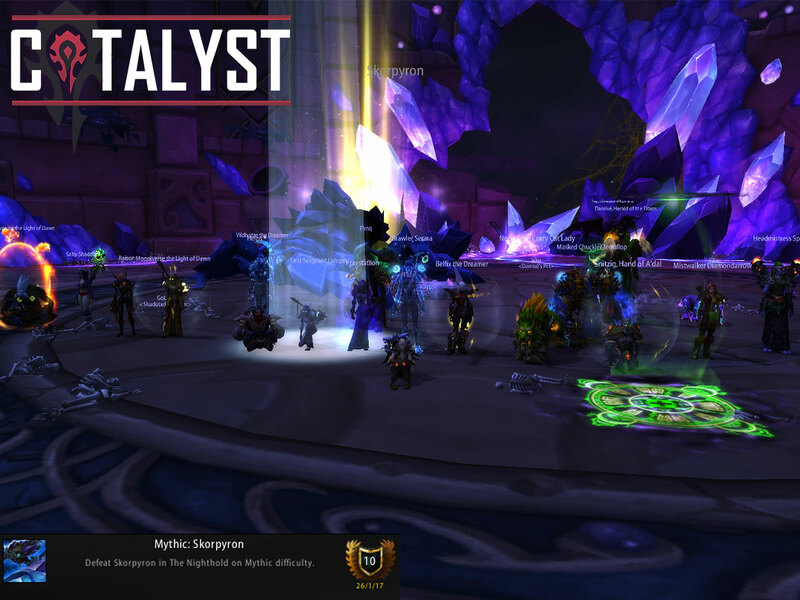 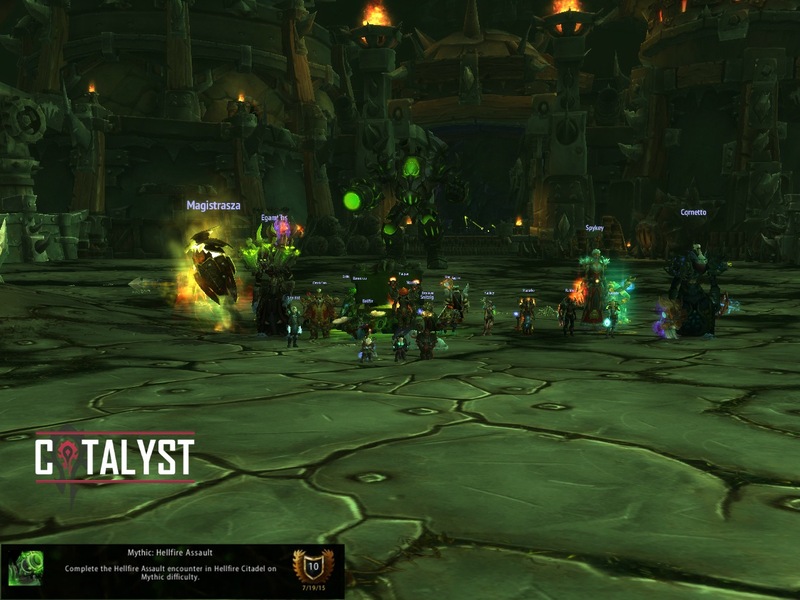 <Catalyst> is an end game raiding guild that has been together for over 5 years. 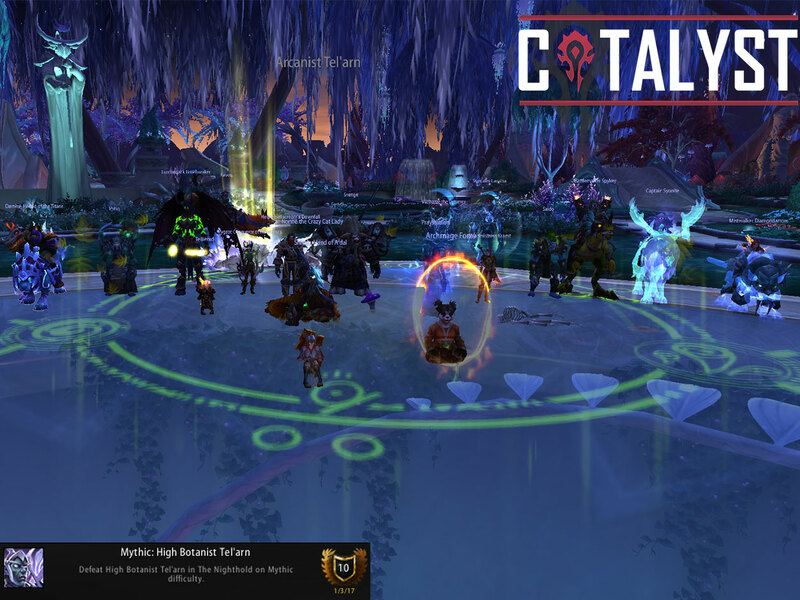 We are an established, friendly guild with the primary aim of having fun in a strong "team first" environment. 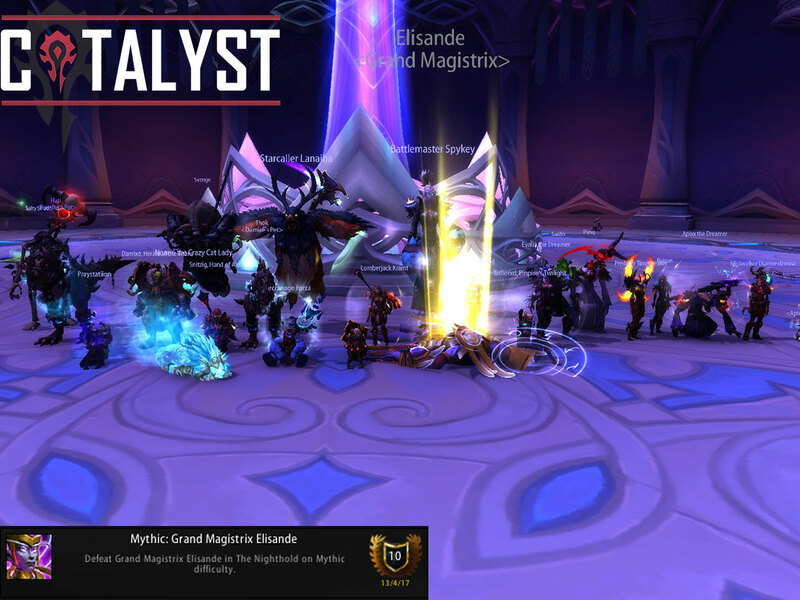 We never have, and never will, subscribed to the "rage mode" style of raiding. 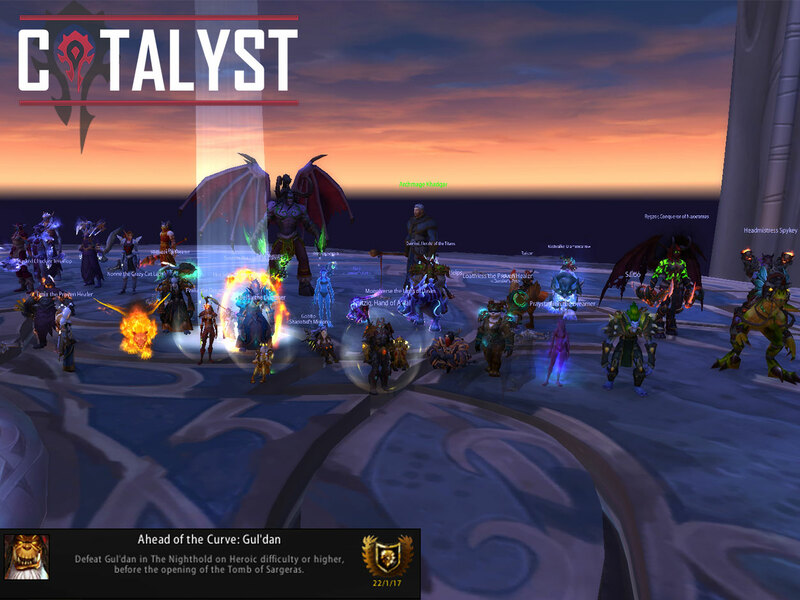 Our aim is simple and we have consistently delivered it tier after tier: to clear "Cutting Edge" while sticking to our raid days/times.